No kitchen is complete without a spice rack, so be sure to add this Stained Acacia 3-Tier Spice Rack from Threshold™. This acacia spice rack blends functionality and style, which keeps your kitchen well-stocked with spices or herbs. The free-standing spice rack provides a space-friendly solution for organizing your spices and can conveniently fit in most cabinets or countertops. 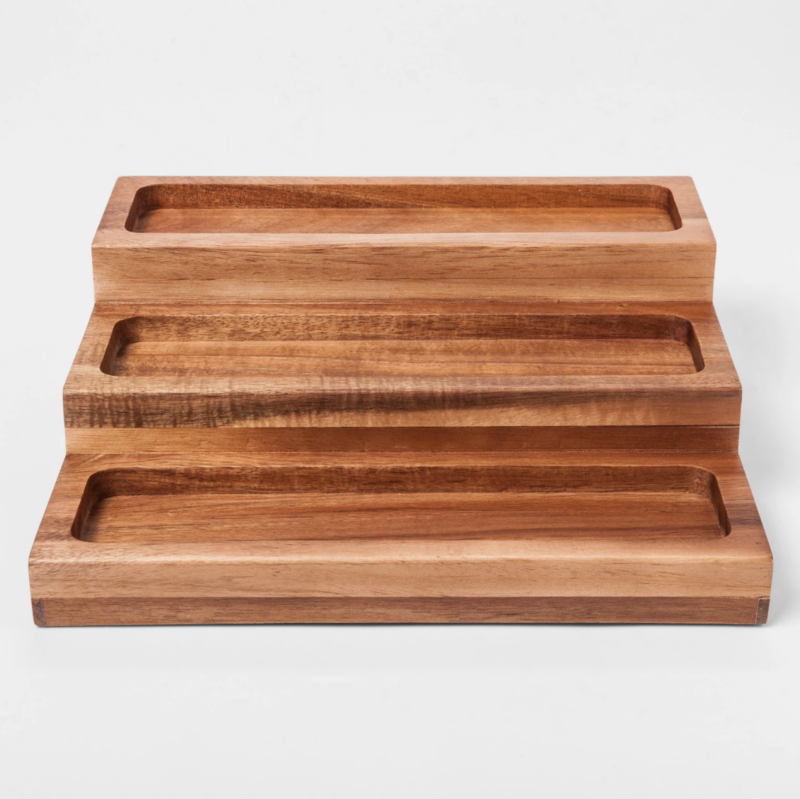 The three-tiered spice holder will save you the time spent in searching for particular ingredients to make a delicious recipe, while helping to keep kitchen clean and tidy and making cooking more enjoyable.